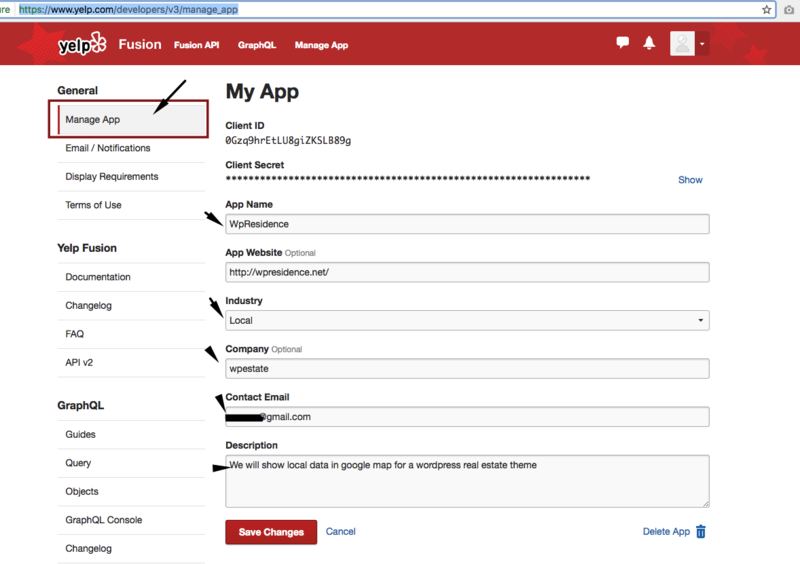 Starting April 21 the YELP API 2 is retired and only YELP FUSION applies. After upgrading to theme v 1.20.4 you will need to re-create the API as explained below. 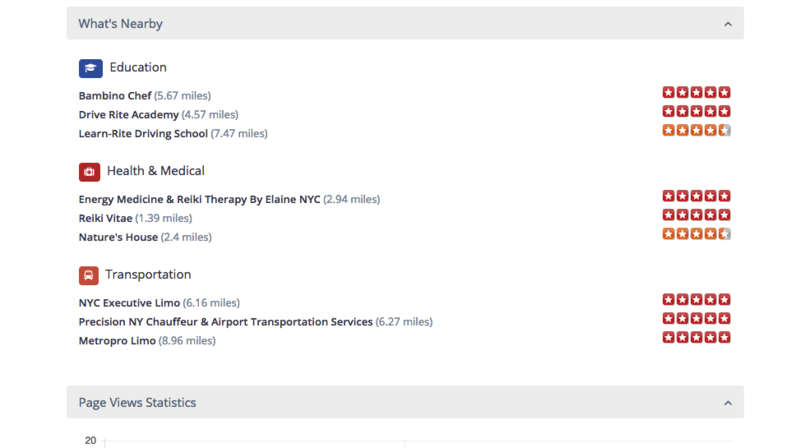 YELP API will show info about what’s nearby property location and their YELP ratings, like this. First check if YELP API works for your country. See here https://www.yelp.com/factsheet the list of countries where Yelp is available. If it exists in your country and if you wish to enable this option on property page, follow these steps. If you don’t fill in anything, Yelp doesn’t apply. Then signup with YELP and go here when you are logged in https://www.yelp.com/developers/v3/manage_app to get the info requested in the YELP settings. 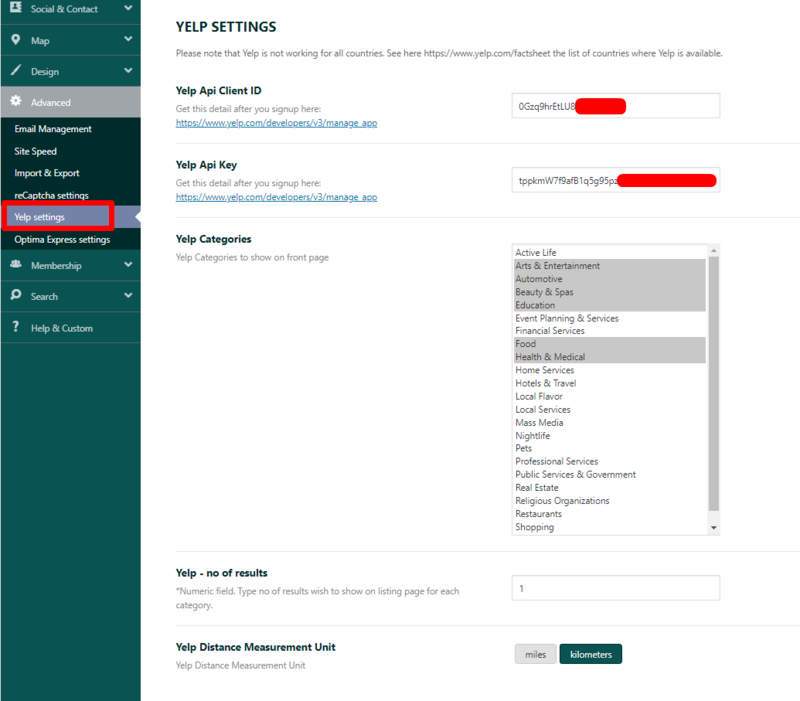 TO ENSURE A GOOD SITE SPEED, THERE IS A CACHING SYSTEM SET FOR YELP WHICH MAKES THE YELP DETAILS TO UPDATE EVERY 24HOURS.